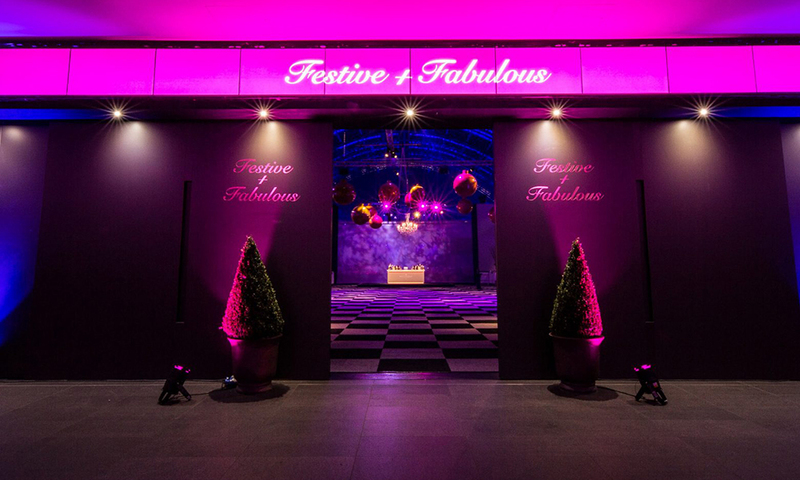 This December we return and are excited to present our spectacular new theme; ‘Festive & Fabulous’. 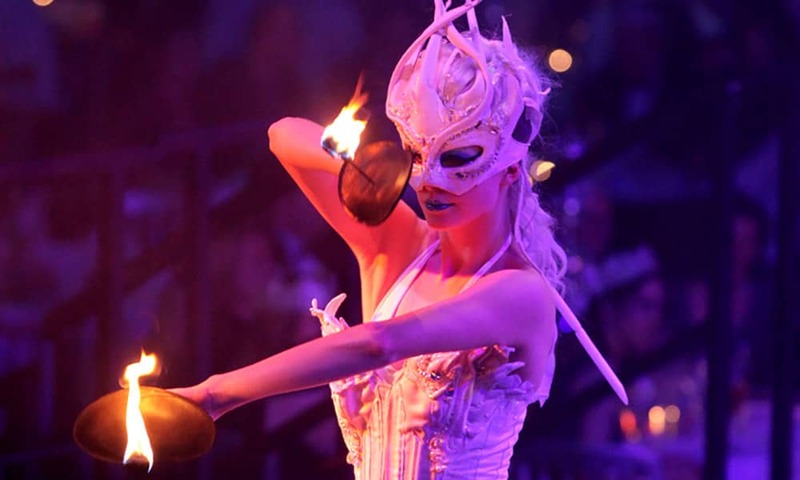 ACC Liverpool will be transformed into a decadent, dazzling vista of spectacular chandeliers and opulent surroundings, featuring a professional cast of aerial performers and dancers. As you approach the imposing sights of ACC Liverpool, a heightened sense of excitement descends. An elaborately themed world awaits., dripping with opulence and dazzling luxury. Exquisitely costumed beauties and bejewelled stilt creatures warmly welcome you offering delectable canapes while ice-cold champagne, crisp beers and sizzling cocktails are served from the many beautiful bars around the venue. Striking and shimmering chandeliers hang from above sharing space with a feathered goddess gesturing you daringly to come closer! 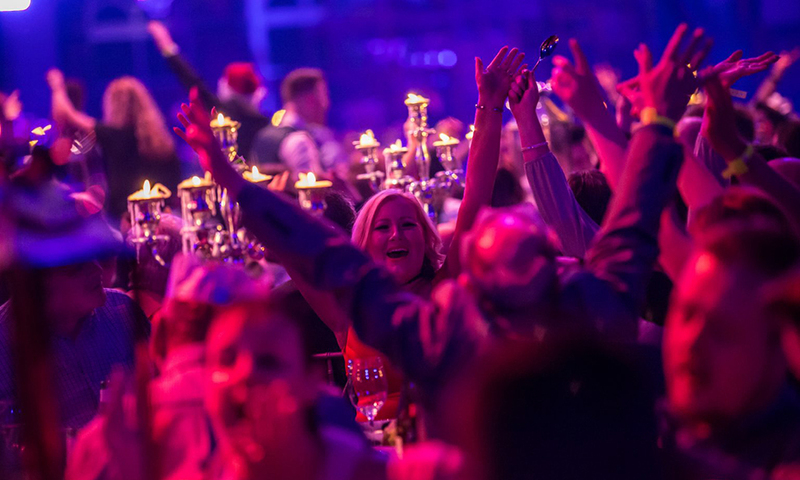 Enchanting characters mix amongst guests as the venue dramatically changes pace when impromptu high paced entertainment t takes to podiums in the bar. You chat with friends and colleagues, exploring and taking in inspiring sights and captivating sounds. 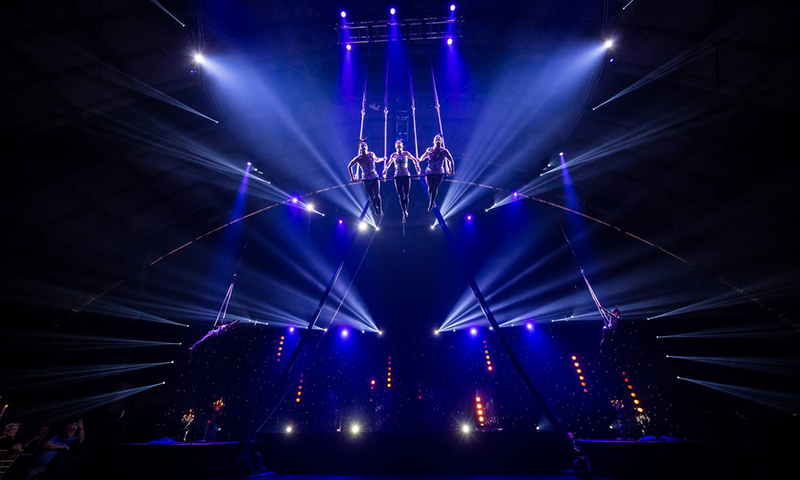 As you and your friends are beckoned to take your seats, the lights dim and a hushed silence evokes a heightened air of anticipation… suddenly the venue dramatically roars to life… beautiful dancers glide around the decadent stage while aerial performers send heartbeats racing with fast, action packed routines. A succulent dinner is served as you relax and talk amongst friends and colleagues enjoying fine dining, full glasses and good company. Crackers are pulled amongst easy conversation, laughter and revelry. 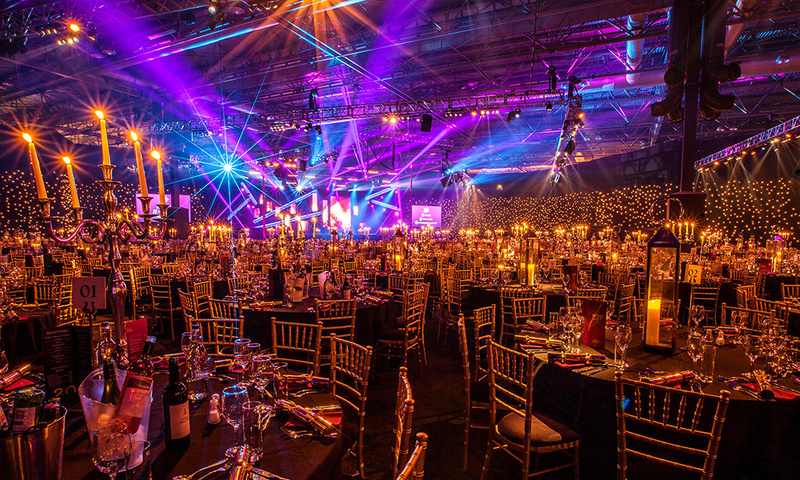 Entertainers eagerly take to the main stage for an awe-inspiring finale and the magical atmosphere moves seamlessly to the dance floor, suddenly filled with high-spirited partygoers. Crisp beams of light race around the venue as legendary party tunes and chart music fill the air. 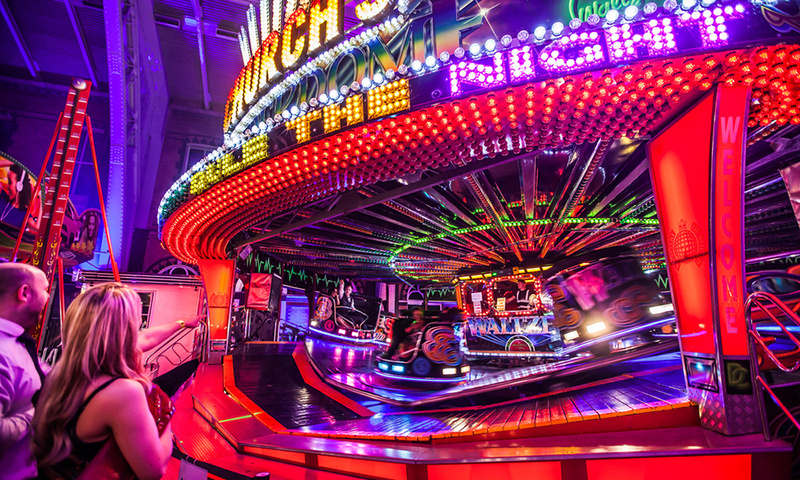 Fresh Coffee and chocolates are served, fairground stalls open, roulette & blackjack tables come to life and the dodgems, waltzer and carousel fairground rides whir to life! 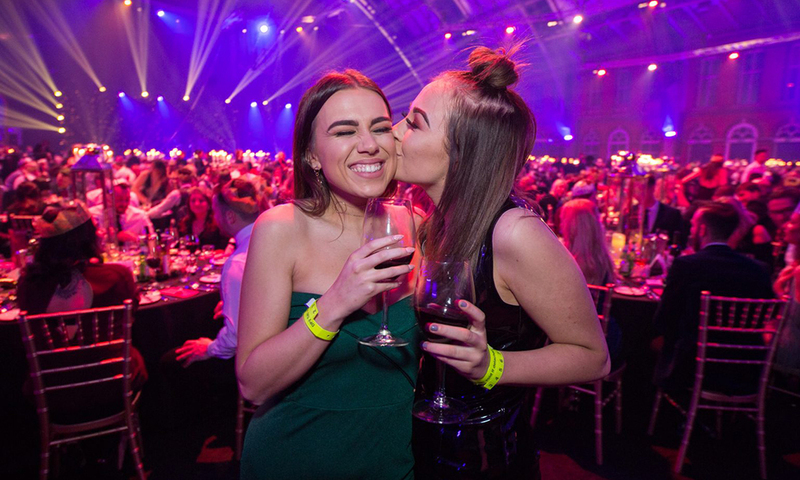 Dance the night away n the electric dance floor, catch up with friends at the Champagne and Cocktail bar, or find a quieter area to sit and enjoy a drink! Festive & Fabulous promises a night of unashamed pleasure, a night of VIP treatment and guilt-free indulgence! 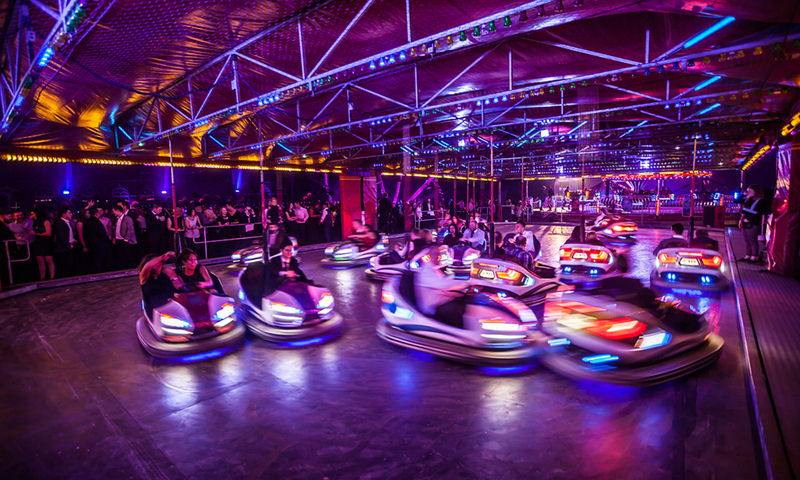 A night of high-spirited festivities and fun… a night never to be forgotten! *Premiere night: A glass of fizz is included on this night! ** Retail & 999 night: Competitively priced tickets exclusively for businesses in the retail or emergency services & NHS. ***All inclusive night: House wines, premium beers, ciders and soft drinks are included on this night! To comply with our licensing policy, guests must be 18 or above to attend our all-inclusive nights. Where's the Christmas Party at The ACC? Arrive by land, air, or sea. Two international airports, 20 minutes from the UK motorway network, and closer still to trains and ferries. A taxi rank operates from directly outside the venue and a 1600 vehicle carpark is located next door. A number of hotels to suite all budgets are located nearby. 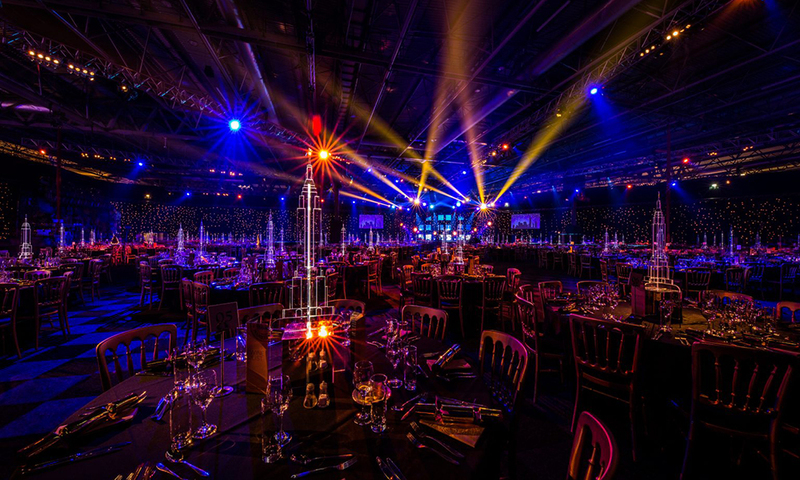 Spectacular ’Festive & Fabulous’ theming throughout the award-winning venue.